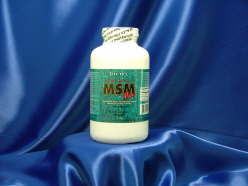 Rich's MSM Max tablets offers your body a larger amount of MSM per usage. They are larger and they have 1200 mgs. That's 200 mgs more than our original MSM Torpedo Tablets. If you are looking to get more for your money, then the MSM Max tablets is the way to go. Take one Rich MSM MAX tablet twice daily per 60 pounds of body weight to start. For best results take with half as much Vitamin C. Increase until you feel the difference. Take with meals or your favorite juice. For optimum results, use in conjunction with a diet high in fresh fruits and vegetables.